This game is based on the real-life outdoor sport of letterboxing. Players hide "letterboxes" somewhere on the board and write clues for the other players. Everyone then attempts to find as many letterboxes as possible. A player gains victory points both when she finds other letterboxes and when other players find hers. The game ends when one player has found all other letterboxes. The player with the most victory points is then the winner. Piecepack Letterbox can now be played online at Super Duper Games! 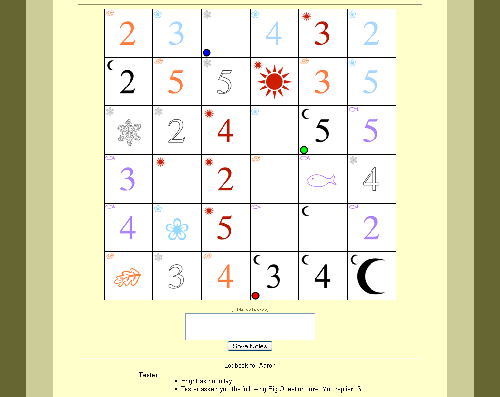 This game was the winner of MesomorphGamesContest1.